1764-1813. He was born on 17 June 1764 of Dutch and British noble stock, being the elder son of Captain John Bentinck of Terrington St. Clement, Norfolk, who died on 23 September 1775 whilst commanding the Centaur 74, having invented the chain pump that bore his name. His mother, Renira, was the daughter of Major-General Jan Maximilian Van Tuyll van Serooskerken, and of his wife Lady Ursula Christine Renira Van Reede Van Amerongen, whilst his paternal grandparents were William Bentinck 1st Graf Bentinck, and his wife, Charlotte Sophie, the ruler of Aldenburg from 1738–1748, who in turn was a distant cousin of the Russian empress Catherine the Great. He was related to the Earl of Pembroke, and to the influential Portland family. Bentinck was commissioned lieutenant on 12 July 1782, and benefitting hugely from his family interest was at the age of nineteen appointed to commission the Assistance 50 at Chatham in the early summer of 1783. Having been posted captain on 15 September, he hoisted the broad pennant of Commodore Sir Charles Douglas, the commander-in-chief designate of the Halifax station, and sailed that autumn. Due to poor weather the ships diverted to Sandy Hook prior to wintering in the Leeward Islands, and they eventually reached Nova Scotia in the spring of 1784. 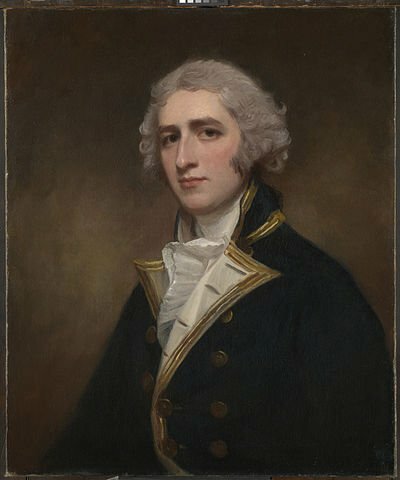 After Douglas was recalled in February 1785 Bentinck continued as the flag-captain on the Assistance to his replacement, Commodore Herbert Sawyer, but unfortunately he soon fell out with the new commander-in-chief and was arrested in November for refusing to punish two marines who had fallen foul of Sawyer ashore. There being insufficient officers present to convene a court-martial he remained suspended for up to six months before issuing a full apology and re-assuming his duties. He then left the ship later in 1786. Bentinck spent the latter years of the 1780’s travelling for the benefit of his education to the Netherlands, Denmark and Russia with Captain James Hawkins, his future brother-in-law. During this period they attended the Prince of Orange on his tour of a Dutch squadron in the Texel, built a yacht to sail from the Texel to Hamburg, and spent some time living in Copenhagen. In 1791, at the time of the Russian Armament, the government sought to consult with Bentinck and Hawkins, along with Captain William Sidney Smith, as they were regarded as the serving officers who had the best knowledge of the Baltic. Bentinck also spent some time in France, which was by now in the grip of the revolution. In March 1793, at the start of the French Revolutionary War, Bentinck took passage aboard the Cleopatra 32, Captain Alexander Ball, for Helvoetsluys on the Dutch coast from where he reported on the movements of the allied and French armies. After returning home he recommissioned the Adamant 50 in May to serve in the Downs, and he then commissioned the eighteen-pounder frigate Phaeton 38 in March 1794, being present at the Battle of the Glorious First of June, where he was engaged by the Impétueux 74 for ten minutes with the loss of three men killed and five wounded. He left the vessel in the summer to join the Tremendous 74, a command he retained in the Channel until the following spring. Having retired from active service, Bentinck was proposed for a role on the Board of Admiralty in 1795, although in the event the opportunity did not arise. He was appointed the governor-general of St. Vincent in March 1798, in which post he remained until 1802. On the resumption of hostilities in 1803 he commanded the Sea Fencibles from Cromer to Fosdyke near his family residence at Terrington St. Clement, Norfolk, and he was advanced to the rank of rear-admiral on 9 November 1805, and vice-admiral on 31 July 1810. In June 1812 Bentinck took passage for Gothenburg from Great Yarmouth aboard the packet Earl of Leicester, and thereafter he made several trips between Stockholm and St. Petersburg in an attempt to form an alliance against France, being an apparent emissary from Vice-Admiral Sir James Saumarez, the commander-in-chief in the Baltic. Admiral Bentinck died on 21 February 1813 in St. Petersburg from typhus. He married Hon. Frances Augusta Eliza Pierrepont, daughter of the politician an ex-naval captain Lord Viscount Newark, the 1st Earl Manvers, on 20 October 1802, and they had four children who reached maturity, including George William Pierrepont Bentinck M.P. Several other children died in infancy, including twin boys within eleven days of each other in November 1808. Curiously one of his three younger sisters, Sophia Henrietta, married the future Admiral of the Fleet Sir James Hawkins Whitshed in 1791, and another sister, Henrietta Elizabeth, married another future Admiral of the Fleet, Sir George Martin. His widow remarried in 1821. Bentinck was a Fellow of the Royal Society from 1787. In 1800 he was bequeathed the estate of Doorwerth in the Netherlands on the death of his grandmother, this being in addition to large estates he owned in Norfolk. He was a frequent visitor to London where he moved in the highest circles.